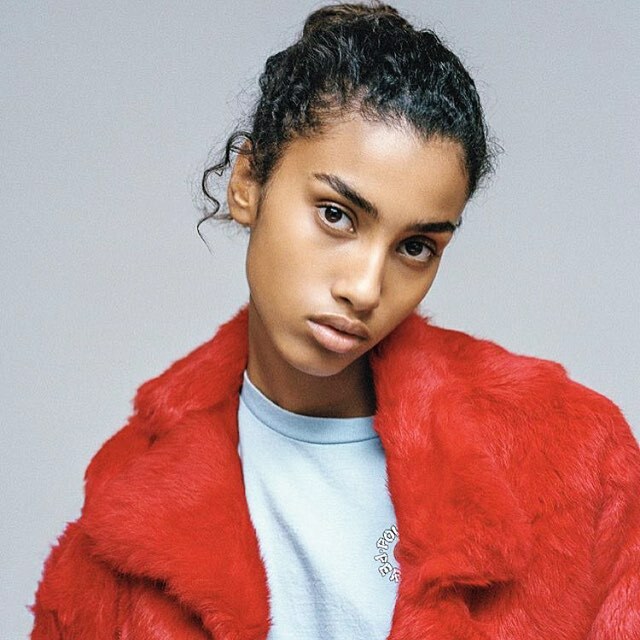 Imaan Hammam was born on October 5th, 1996 in Amsterdam, Netherlands. 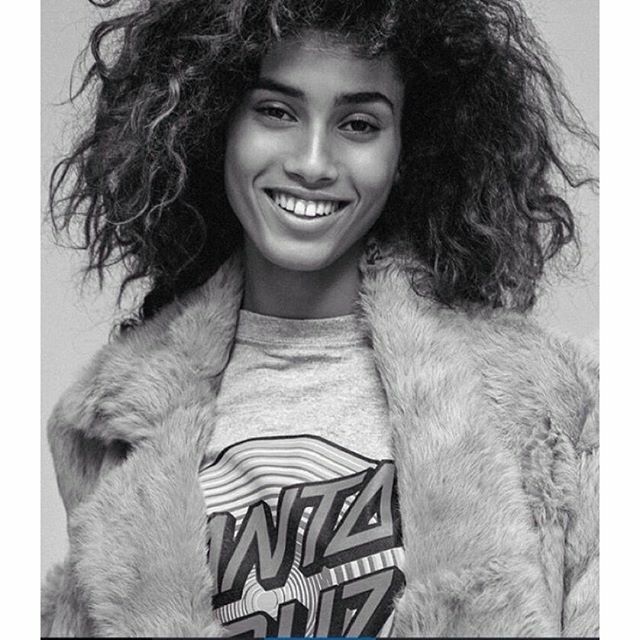 She is most known for her fashion model resume in addition to being of Moroccan and Egyptian descent. Once you begin to hear her talk about her career and daily life, you will realize that she is more than just a stereotypical model. What people notice first about Imaan is her beautiful, naturally curly hair. No matter what style she has it in, there is no way she can do wrong with it. Currently her track list includes working with prominent agencies including; DNA Models (New York), Viva Model Management (Paris, London, and Barcelona), CODE Management (Amsterdam) and Why Not Model Management (Milan). Imaan has also worked with Calvin Klien, Target, Tiffany & Co., and Alexander McQueen (to name a few campaigns and shows). Imaan was discovered in 2010 by one of CODE Management agent’s. As time progressed, a multitude of doors and opportunities opened up for her. Her current measurements are as follows. Outside of working and modeling, Imaan enjoys the simple things in life. Reading books, playing video games in arcades, and enjoying quiet time at cafes. If you would like to follow Imaan on any social media accounts, you can follow her on Instagram and Twitter.